Every year, car manufacturers have outstanding deals on some of their flagship vehicles, delivering amazing savings to consumers and aspiring car shoppers. There are a few times a year, as consumers, we get to take advantage of the dropped prices. There are a number of reason dealerships drop their prices. They tend to aim around the new year, close to tax season, and the end of the year when their new inventory of the next year’s cars come in. In fact, according to realcartips.com1, insiders agree the best time of year to purchase is the week after New Year. People generally aren't shopping for cars during this time, while dealers are striving to meet beginning of the year sales goals. This translates into huge savings for consumers out interested in purchasing a new vehicle. Dealerships try to aim their marketing and incentive efforts right at your wallet. Another advantage of dropping prices after the holiday season, is consumers tend to have more money at the start of the year. This could be due to many different factors. One key factor is raises and bonuses. By the start of the year, bonuses and raises would have kicked in, freeing up extra cash towards the new year. What a coincidence some of the best times to purchase vehicles is after Labor Day. Consumers are already saving up for Christmas and Thanksgiving and the New Year, dealerships know this. They also know when people have a little extra cash on hand, they like to spend it. So why not get in the running for some of that holiday cash we all seem so eager to give away?! Dealerships will also roll out the red carpet on some of their best vehicles of the year and slash prices on those car dramatically. They don’t have the space to keep the previous year’s cars and upcoming years cars on the same lots. Not to mention, there will be little incentive to push out the new cars if the old cars are cheaper. That will have a negative impact on their forecasted inventory for the year. So they try to push the old models off the lot as soon as possible. Rather than take a loss on the cars, they’ll discount them tremendously, knowing they’ll make up their difference by pushing out new models. Holidays always signal huge discounts and great deals on your favorite SUV. The holiday season hits heavy at the end of the year and that’s automakers and dealerships last chance to get a decent profit off of the current years cars. The new flagship cars of the following year are already starting to appear on the show room floors, which gives dealerships great incentives and a sense of urgency to get rid of the 2018 SUVs. If they have too much older inventory, they won’t be able to push the new inventory, so they need to make space. They aim their deals towards when people have more money and tend to shop. This is why Labor Day, Thanksgiving, Christmas and the start of the New Year are the perfect times of the year to purchase a new SUV. Consumers have more time off and are able to dedicate more time at dealerships getting sold into the hottest new vehicles. They have money to burn and are eager to burn it. Labor Day is close to, if not the absolute last shot dealerships have to move old inventory. It’s their last major push before they go all in on their 2019 cars and have 2018 models take a backseat. Dealership representatives are also trying to make some extra money for their end of the year shopping, so they are more likely to deal with consumers giving them a majority of the benefits. These amazing once a year deals are generally found around Labor Day. According to USAtoday.com2, Labor Day in the Auto industry, generally symbolizes the kick-off of the clearance season where we as consumer will start seeing unbelievable price on year end models. If you’re looking to get into an SUV because your family is growing or you and your best buds just want to hit the road for spring break for a few weeks, it may be time to check into one of the dealerships around Labor Day. Here are some popular models you may want to consider. Hyundai Santa Fe is an emerging favorite amongst young growing families and young people. They have a Sport model and a full size model with an extra row, perfect for big families. If you check out the Hyundai dealership, it may be a great idea to also check out Kia. They offer similar incentives and share factories with Hyundai, so the cars are very similar. The Jeep Grand Cherokee will also have amazing incentives and discounts with dropping the MSRP by almost $5K. If you ever dreamed of rolling in a Cadillac Escalade, you could be looking at 0% financing and cash back offers. The Infinity QX80 is a luxury full-size SUV and they’ll offer 1.9% financing if you finance through a local infinity. Finally, the Ford Edge is offering cash back with 0% financing. 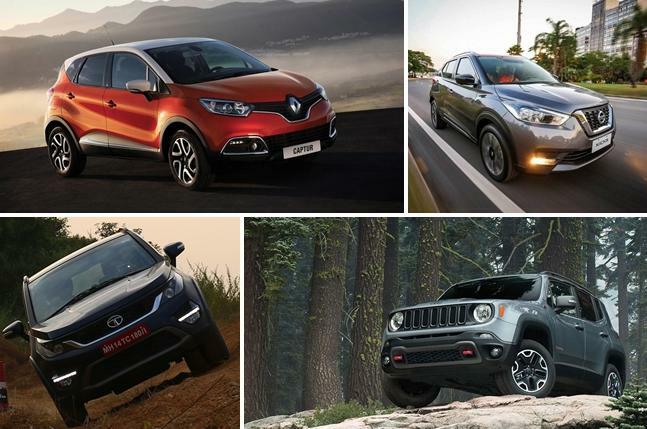 With any of these deals, you’ll of course have to qualify, but it’s worth taking a look at the sales that are coming up if you are even remotely interested in purchasing a new SUV.